Last year my sister bought a set of freeze pop holders from Leaps & Bounds and we thought they were the coolest thing. When planning my little guys carnival birthday I wanted to include one for each kiddie in their goody bag and made these quick, easy and inexpensive alternatives. 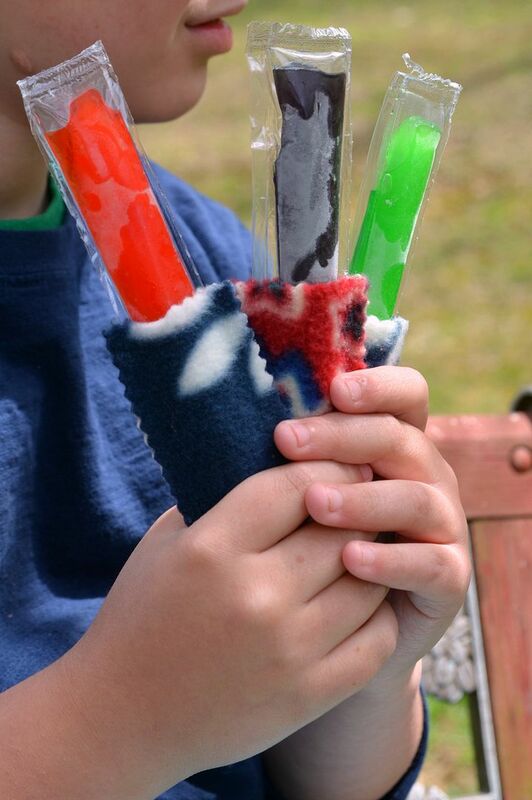 All you need is some scrap fleece and some thread and your kiddies little hands will be nice warm and clean when enjoying their next freeze pop! 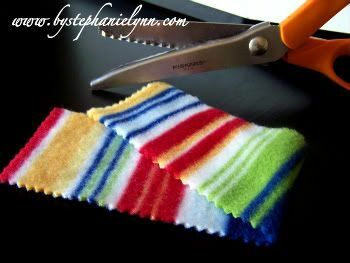 Cut a piece of fleece 5 inches long by 2 1/2 inches wide. You can makes these any size but this seems to fit a standard icy pop pretty well. I used pinking sheers for a little design along the edges; however a regular cut would work as well. Pop in a freeze pop and let your little one go to town! When they get messy, pop them in the wash and re-use. If you missed my post yesterday about making your own healthy freeze pops you can find it here. Enjoy! Seriously! This is a great idea! I love it, and I am so making these for my boys for this summer! This is brilliant! I love it. Also love the idea to use the foodsaver to make your own. 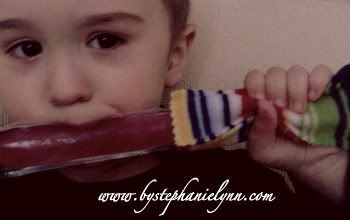 We’re always wrapping little washcloths and napkins around our frozen go-gurts or ice pops – my girls will LOVE these!! Wow!! I love this idea. Thanks!! Great idea!! I’ll be making some for this summer! This is a great idea as well! We typically use napkins, but I love that you can just through this in the wash – brilliant. A freezer pop holder!!! What a great idea! Yay!! Now we’ll stop using the fabric napkins. These will be able to go in the laundry, too! Such a simple idea but so useful! 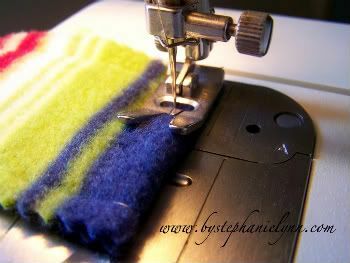 Looking for scraps of fleece right now! most brilliant idea ever! love it that I am totally going to have to rearrange my schedule and whip one together!!! Those are just the cutest things. My Ella is addicted to Otter Pops. Love it! I love this!! Thanks for sharing-can’t wait to make some for my kids!! What a brilliant idea! Love the color. Thank you for your kind thoughts and prayers. Neato! Link this up to Mad SKills Monday at SuperStinykBoys! This is totally one of those “Why didn’t I think of that” projects! You’re brilliant! I love it! CUTE idea! Useful and cute–perfect. A project that is quick and easy – I love it! That is a wonderful idea – and I love the fabric you have used. This is one of the most original ideas I’ve seen lately. I am so making some for my kiddos!!! I saw your project on Tatertots. This is a wonderful idea! Now someone is thinking! Cute idea! This is seriously what every kid needs! Nice thinking! It’s so cute too! Thanks so much for sharing this great idea. As always, super-talented! I love this idea! My son always grabs a washcloth to keep his hands from freezing. During the summer I can never find a clean washcloth. I posted about this on my blog… 4growingboys.blogspot. Where were these when I freezing my fingers off as a kid when I ate Popsicles?! Thanks for the great tute! Lov’n it! Thanks for linking up to Mad Skills Monday! Thank you for bringing your hodgepodge to the party! Will be drawing the winners soon! Wow!!! My kids would adore that! Love it! 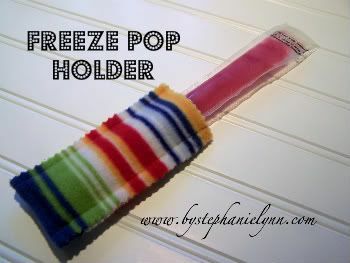 So making one of these as soon as Boogie is ready for some of those homemade freezer pops! what an awesome idea. I found this from skip to my lou. Hope you don’t mind if sometime I link this up to my blog http://www.danosdailydiary.com for a tutorial one day. Thanks a bunch! Great Idea!! 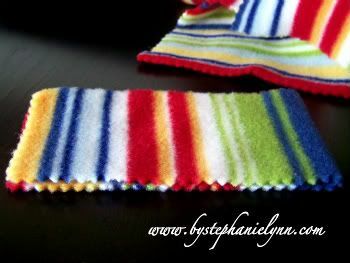 I am finding scraps and making them today so they are ready for summer!! Hi there! You were featured on Mad Skills Monday for this awesome project! Congrats! I think this is the most awesome idea EVER. my almost 3 year old drives me crazy with these pops because he NEEDS a napkin wrapped around it. You have solved my problem!!! I am making t his right now! I LOVE THIS IDEA! I’ll be making some ASAP! I have some scrap fleece I was trying to find a use for too so this is just perfect! Come on over to candacecreations.blogspot when we get a chance. I had my 2nd baby in april so I’m just getting back into the swing of things! Super idea!! 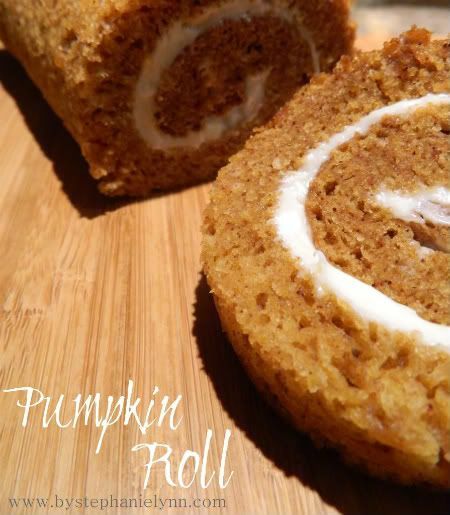 I can’t wait to make these–it will really save on the paper towels too!!! These are just too cute for words! These are just way too cute! Great idea! I am absolutely making these today! Thank you so much for the idea. My son is going for surgery to have his tonsils and adenoids taken out soon and these will help with cold hands. I featured you on my blog http://www.getinspired2.blogspot.com Please check it out. Great project! I just wanted to let you know that we featured this project on our Facebook page with more than 12,000 fans. We’d love it if you’d use our Featured Blogger button, available at: http://www.dailycraft.com/thank-you-for-crafting/. Our audience loved the project and we look forward to sharing more from you. Please let us know if you have any questions or projects you’d love us to feature! Thanks! LOVE this idea! I kinda ran with it and since I didn’t have any felt I just used some fabric I had here and made some for my boys & my nieces/nephews for 4th of July. They were a big hit. Thanks soo much for the tut & idea! Such a great idea! I featured you on my blog! I took your idea and tweaked it a bit to fit my son’s obsession with Star Wars. i Stephanie Lynn 🙂 I was wondering if it’s ok for me to feature this on Fun Family Crafts? It’s a site similar to Craftgawker except it only features kid’s crafts (ages 1-18). There also a category for crafts FOR kids made by adults (excluding clothing). I’d be happy to feature this for you, or if you have others you’d like featured, you can register and submit as many as you like! FFC also accepts submissions! Please consider this an invitation to submit as many kid friendly craft tutorials as you like. I look forward to seeing what you submit! If you would like to display a featured button on your site, you can grab one from the right side bar of your post above. Snooping around your blog today, and I must make some of these for a couple cute kids who hang out around here. They love their freezies but tiny hands get cold!